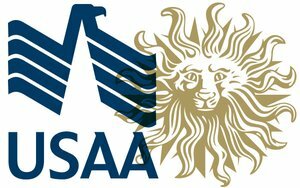 USAA is consolidating its marketing and communications under Publicis Groupe and its agencies Razorfish, Saatchi & Saatchi, MSLGROUP, Mediavest|Spark and Prodigious. As the winning company, Publicis has built a "Power Of One" team specifically for USAA that integrates services across three of Publicis Groupe's four Solutions hubs: Publicis Communications, Publicis.Sapient and Publicis Media. These agencies will provide support across all of USAA's channels and platforms, including creative development, marketing, advertising and media buying, content creation, social media, corporate responsibility, public relations, and issues and crisis management. The transition is expected to be completed by the end of the first quarter of 2017. However, USAA will retain WME|IMG to support sponsorship-related activities, such as the Army-Navy Game presented by USAA. This account win closes a controversial chapter in USAA’s relationship with agencies, following the "Ghetto Day" email scandal and firing of Campbell Ewald CEO Jim Palmer earlier this year. USAA cancelled fired IPG agency Campbell Ewald after emails from its San Antonio office surfaced "inviting our Big D homebitches to cycle in and pop a freak with us," among other slurs. USAA then began working with sister agency MullenLowe. Although IPG agreed to set up a stand-alone, separate unit to oversee USAA, the financial services company decided to start fresh with Publicis. One key reason for the switch was Publicis' commitment to hire 30% of new employees on the account from diverse communities. "Their pledge to hire employees from diverse backgrounds matches USAA's belief in the competitive advantage of diversity and the value of differing points of view," says USAA. USAA is the latest of a number of big marketers to demand and receive diversity concessions from ad agencies, which have acknowledged that they need to diversify their ranks, but have found doing so to be challenging. USAA's advertising budget was $146 million in 2015, according to Kantar Media. "Publicis Groupe has transformed itself with two goals in mind: to put our clients' needs at the heart of everything we do and to tear down our silos. To that end we created The Power Of One, a strong collaborative model unleashing all our assets. For USAA, we delivered a customized strategy and program that demonstrated the positive impact of this new organization under one client leader who can leverage all our capabilities and competencies," stated Maurice Lévy, chairman and CEO of Publicis Groupe. "We have great admiration for the services and commitment of USAA; we are thrilled to work closely with them and to deliver state-of-the-art communications and marketing solutions in the new age of connectivity."